Housing costs vary significantly. Private rental costs affect less than 20 per cent of the population but are high, especially in Dublin. The most effective way of dealing with housing costs is through targeted housing subsidies. Table 1 shows the number of households by tenure status in Ireland. Most housing (69.8%) is owner-occupied; over half of owner-occupiers have no mortgage. Almost one-in-five houses (18.8%) are rented from a private landlord, 8.7% from a Local Authority and 1 per cent from voluntary bodies. In total 28.6% or 469,671 of households rent their accommodation. Of these, 165,136 are in Dublin1 where the share of households renting is 35.2%. The average weekly rent paid to private landlords at Census 2016 was €200. Figure 1 shows five bands of weekly rent to private landlords from less than €100 per week, to greater than €400 both in Dublin and in the rest of the country. Figure 1 indicates that almost two-thirds (64.5%) of households that rent their accommodation from a private landlord outside Dublin pay between €100 and €200 per week. The equivalent share in Dublin is 15.6%; a quarter of the share outside Dublin. The share of those paying between €300 and €400 in weekly rent to a private landlord is ten times higher in Dublin (27.7%) compared to outside Dublin (2.7%). The share of private households paying less than €25 rent per week is 0.6 per cent (1,774) in the State and 0.5 per cent (525) in Dublin. Table 2 shows household numbers by the five rent bands. Three-in-five (60.8%) of households in Dublin paid over €250 per week in private rent, compared with less than one tenth (8.2%) outside Dublin. More than 85 per cent of households paying rent of €300 or more per week are based in Dublin. 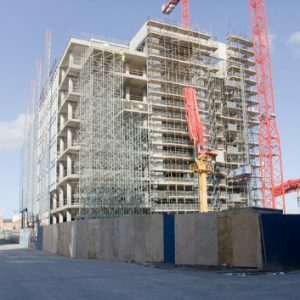 The highest average weekly rent in Dublin was in Dún Laoghaire-Rathdown (€335), followed by Dublin City (€276), Fingal (€261) and South Dublin (€259). The number of households renting from a local authority increased by 11% between Census 2011 and 2016; from 129,033 to 143,178. Local authorities have 30% of the rental stock, with two-thirds (66%) to private landlords and 4 per cent to voluntary bodies. The average weekly rent paid to a local authority was €69; about one-third of average rent in the private sector. The average weekly rent paid in Fingal was €94, followed by Dún Laoghaire-Rathdown (€88), Dublin City (€82) and South Dublin (€62). Average rent in Dublin is €80 per week, and €64 in the rest of the country. Figure 2 shows five bands of average weekly rent to Local Authorities. Figure 3 shows that about two-in-five households renting from a Local Authority2 pay less than €50 per week and almost another two-fifths in both outside Dublin (39.1%) and Dublin (38.4%) pay an average weekly rent between €50 and €100. Approximately one-in-five pay more than €100 per week. Table 3 shows household numbers by rent band in Local Authority households. Housing costs vary significantly by tenure and geographical location. The most effective way of providing support for accommodation costs is through targeted housing subsidies. 1 Dublin refers to the 4 local authority areas Dublin City, Dún Laoghaire Rathdown, Fingal and South Dublin.